What is they thinking about you? Origin: Once a part of the Kōri No Ichizoku, Reitō left His home in the snow capped mountains to find a cure for his clan. And once he found the cure, He raced back to his home only to find the charred remains of His entire clan. And After His Traumatizing Event, He Had Amnesia. 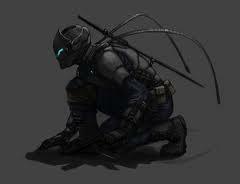 And After Witnessing The Killing of His New (Friend) Kenshi, He Has Vowed To ‘Never Let Anything Like This Ever Again.’ Thus Protecting The Weak Ever Since. And He Almost Got His Revenge For The People Who Killed Kenshi, He Was Murdered After The Mob's Boss Slew him. Now Reitō Awakens In Someone’s House. Personality: Serious and quiet, interested in security and peaceful living. Extremely thorough, responsible, and dependable. Well-developed powers of concentration. Usually interested in supporting and promoting traditions and establishments. Well-organized and hard working, they work steadily towards identified goals. He can usually accomplish any task once he has set his mind to it. Appearance: Tall, Muscular, Red Hair,Ice-Blue Eyes, Straight Nose, White Teeth. Your history: Lived A Peaceful Life Until Entire Clan Had A Disease Oddly Enough, He Wasn't Sick. He Rushed To The Closest Town At The Bottom Of The Mountain, Which Is 8 Miles Away, He Rushed Back Only To Find Out While He Was Away, The Entire Clan Was Decimated, And He Suffered So Much Emotional Trauma, He Had Amnesia, When He Awoke, He Was In A Mountain Traveler's House, The Traveler's Name Was Kenshin And He Said He Found Me On The Road Going Down The Mountain, So He Brought Me Here. He (Kenshin) Then Became My Best Friend Until A Supposed Crime Boss Said That Kenshin Owed Him A Lot Of Money And Before Any Of Us Could Blink, He Struck Kenshin Down. In A Fit Of Rage I Attacked The Mob Boss And He Slew Me And Threw Me In The River, And The Next Thing I Know Is That I'm Waking Up With Amnesia In A Complete Strangers House. Origin: Originally from Takigakure (Village Hidden by a Waterfall) though found out that his grandfather was originally of Sunagakure. So he went on a mission to find out about his ancestry, as well as scout out for his clan. He came back home to bad news as he found out that the jinchuriki Fu (his best friend and crush) was missing. Personality: Laidback, but can focus if need be. Horrible to have as an enemy but constant as a compass for his friends. A hard worker, he is very intelligent and perceptive. Motto: Its not how many times life can beat you down, its how many times you can get back up. Motto: Every day is a new adventure, so make the most of it! Naruto: Hm, Yuki? Ahhh~ she is loads of fun. We usually pulled pranks around the village. She would crack a joke almost anytime. We sometimes eat ramen together, too! young when our clan's annihilation occured. My sister and I spent every day together, & eventually, we gained our sharingan. She gave me a necklace w/ a red jewel.Then that day happened. I was coming back from training when rogue ninja invaded our home & took my family hostage. My mother were killed, but my sister & I escaped. But they followed us, & my sister was killed protecting me from them. That awakened my mangekyo sharingan and killed them all w/ Amaterasu. My sister died, but gave me her eyes before she passed. I decided that I would never let anyone I care about die again. Some time later, I met Heisiro & we became friends. Then we met the others & formed the team Tategami. We travel as bounty hunters & collect the rewards. We help our villages from time to time. (plus I think he's cute). But he's a good guy. Sai: He seems to be a nice person, we would occasionaly draw together. ninja, he may even be my equal. All in all, he's a great ally. Yamato: Akira? I like the guy. He is of the few people who can actually beat me. Neji: Akira Uchiha is a nice person. We would train together & he seems to know a way to always counter my eight trigrams palm rotation. Tenten: I think he's kinda cool. We would always fight with our weapons & it would end in a draw. He's one my favorites. Kiba & Akamaru: I think he's alright. He a strong opponent. Right Akamaru? *Akamaru barks with agreement* I love fighting with him. Hinata: Um... He's sweet I guess. *playing with her fingers* H-he's always with Naruto so he must be a nice guy. Personality: A jokester most of the time, he keeps the mood light, but can be very serious and focused. Likes to flirt with girls a lot. Dream: To travel the world and understand things, and show Konoha that they should have never let us been wiped out. Motto: Know your friends from your enemies, but don't let hatred define you. Sasuke: A bit of a jokester most of the time, he doesn't seem to take anything seriously, until you fight him. Outfit: sleeveless black shirt and matching pants, complete with a waist-guard, Kirigakure's striped wrist and leg-warmers. Your history: i was abandoned as a child and only had the picture of my brother i was confused and mad at the world so i would take it out on the world i was a special kid i started at the academy at the age of 5 and was given B-ranked missions at the age of 7 one day at the academy i took on 300 of my classmates and 2 sensais and slaughtered them all no one was left standing i was always able to defeat an enemy quite quickly even finish missions extremely fast i was the top of my Anbu class and a top assassin but i realized what i did was horrible so i traveled to the village hidden in the waves to get help from the great nagato he helped me and i trained with him and learned how to control my kekkei genkai and later on in my life i met shisui uchiha and challenged him in the end we were both unconscious and when we awoke we became the best of friends. but later on we fade away and i became Mizukage. Choji:i would share a bag of chips with this guy!! Personality: Dangerous, Calm, Energetic, Doesnt Work Well with Others, Serious, Tough, Smart. Your history: "I was left to die by my so called loving parents that I don't even know, but I was lucky to have known who my brother was. We were raise by the Third Hokage. I was thankful for him, I was a wreck when he die I swore to myself I would get my revenge. When I was 12 I was bitten by Orochimaru and mastered Sharingan, but what surprised me when i looked into a mirror was Rinnegan I was scared at first, but i came to realize that I would have to live with it. After I became a Chunin, Naruto, Rinato and I went off to train with Senei Jiraiya. I left the training at age 15 and came back to the Leaf Village. At that age of 16 I mastered Mangekyo sharingan when I fought Lord Raikage. I was lucky to survive that. I fall in love with a girl name Taskuimea Uchiha she was the most beauitful girl I ever saw, but when i ran into Toby he trick me into joining Akatsuki. When I learn the Justu Last Breath a tattoo of a Dragon appeared on my left arm. I felt Stronger then I ever felt. At age 16 i made a two swords, they represented Fire and Lighting. Later on I went back to the Leaf Village and attacked it by myself I was amaze at what power I had. That is when I finally learned Susanno. The only reason I didn't murder everyone in there is because of Taskuime. After that day I swore I would find away to get her away from that village." Dream: To be the Strongest there is. Naruto: I will train harder in order to beat you. You will pay for what you did to my Village. Sakura: Why, why would you destroy the village. After all we did for you. Don't worry Taskuime Ill bring him back. Age: 23-24, (Part 1). 26-27, (Part 2). Date of Birth: May 16th. Favourite food: Special fried rice. Least Favourite Food: Pork Ramen. Rank: S-Rank Jounin. Formerly ANBU. Mission completed: 16 S-rank, 75 A-rank, 100 B-rank, 50 C-rank and 25 D-rank. Personality: Friendly, loyal, somewhat of a tomboy. In battle she is strategic, focused, serious and quick thinking. She hates fan girls. BFF's: Anko Mitarashi, Kurenai Yuhi, Yugao Uzuki, Matio Gai. Teammates: (When on an S-rank mission), Anko Mitarashi, Yugao Uzuki or Maito Gai's team. Rival: Yugao Uzuki and Maito Gai. Appearance: Shizuka has fair skin, short black hair and purple eyes. She stands at 5'9. Outfit: Normal Jonin uniform. (What Yugao wears in the Fourth Shinobi World War). Weapons: A standard katana with a black square shaped tsuba and a navy blue hilt. She also has dual bladed kusarigama connected by chains. (Imagine Shuhei Hisagi's Shikai). Jutsu: Genjutsu: Infinite Darkness Jutsu, Genjutsu: Optic Delusory, Ninja Art: Shuriken Shadow Clone Jutsu, Summoning Jutsu (Falcons), Shadow Clone Jutsu, Shadow Shuriken Jutsu, Teleportation Jutsu, Fire Style: Dragon Flame Jutsu, Fire Style: Dragon Flame Bomb, Fire Style: Fireball Jutsu, Fire Style: Phoenix Flower Jutsu. Family: Arashi Hayashi, (Father, Deceased). Hitomi Hayashi, (Mother, Deceased). Dream: To be in an era of true peace. What these characters think about Shizuka. • Naruto: She's really nice. • Sakura: I've talked to her before. • Sai: D*ckless knows her. • Kakashi: Hm, but did you say something? • Yamato: I don't know her very well. • Tenten: Her skill with her dual bladed chained kusarigama are amazing. 'Blushes'. • Lee: She's so YOUTHFUL!!!! • Gai: YOUR RIGHT LEE, SHE IS YOUTHFUL!!!! • Kiba/Akamaru: Think I've seen her a few times. (Woof). • Hinata: 'Stuttering' I don't know her. • Kurenai: I've sparred with her before. She's really ferocious. • Choji: 'Munch Munch Munch Munch'. • Ino: Don't know her. • Asuma: 'Takes long drag from cigarette'. • Tsunade: Her skill as a Kunoichi is impressive, especially in Taijutsu and Kenjutsu. • Temari: Damn I saw some of her carnage when Orochimaru tricked us. • Kankuro: 'Working on Crow'. • Orochimaru: She isn't a threat to me, kukukuku. • Deidara: She will become part of my art. • Sasori: NO, she'll become part of my art. Motto: Those who do not believe themselves or have a reason to fight have no reason to live. Date of Birth: 09/20/ ?? Missions completed: 75 D-rank, 100 C-rank, 375 B-rank, 250 A-rank, 60 S-rank. Personality: Shinko is a Hard working Ninja who hates the praise he get's for being reconized as prodigy as he strictly believes everyone in there own way is a genuis no matter what the records say. He does seem to have a slight obsession with training himself in every aspect as he even seems to have a routine down. As such he's really confident in his abilities and sometimes get's carried away on missions he also acts as somewhat of a Lone wolf by his team. He also has the qualities of a natural born leader and is a honor able warrior threw and threw witch oftein leads to people misusing him. Your history: Shinko was born in the hidden leaf village from his parents were two world renown ninja's known as Izumi Uzumaki and Mokubu Senju the two paired up after the fourth Shinobi world war Naturally having such Strong bloodlines Shinko displayed amazing talents and intellgence in Ninjustu Genjustu and of course taijutsu. His training started since before he was five but with the Peace going through out the world it was almost as if there was no room for this prodigy. When Shinko was only 6 years old he awakend the Legendary Doujustu known as the Rinnegan instantly Naruto among with the five villages and many others became worried at the apperence of this. At first Shinko was treated poorly by many people his own father included for having these eyes. But that didn't break his spirits Shinko quickly graduated the acdeamy at age 7 and started to train with his squad known as squad 8 and his appointed sensi was Rock-Lee and his team mates are Rei Uchiha who quickly became his best friend / Rivail and Mira Sarutobi. The three trained hard and completed many missions together however at the age of 10 Shinko and Rei and Mira all became Chūnin because of there impressive mission sucess rate and effcincey as a team. They also blew through the Chūnin exams with flying colors. at the age of 14 Shinko assited Naruto during the Shin Uchiha crisis this also sparked his love for fellow class mate / Love for the lovly young Sarada Uchiha. After those events Shinko decided to leave Konaha to strengthen himself and to pursue his dream of becoming a sucessful Missing Nin Head Hunter. as the events of the Shin Uchiha incident made Shinko releaise that peace isn't easy to maintain. Shinko for the last two years used his Anima path to summon himself to Mount Myōboku to master his clans art of Sage Mode with help from the great toads. Date of Birth: 12/16/ ?? Missions completed: 25 D-rank, 40 C-rank, 40B-rank, 5 A-rank, 9 S-rank. Personality: If one thing Mizura is not it's shy she's a spunky little fire fly been that way since she was born. Mizura is also rather blunt with her opinions on people. She has Developed a Rivalry with Sarada since the Academy days. She is only weak kneed and girly when her crush Shinko is involved this involves anything from Missions to street conversations. although she doesn't let this completely take hold of her. More often then not she's quick to try and jump start the Mission is always trying face tank every challenge thrown at her. That being said she is oddly enough a brilliant Thinker when it comes to combat. Your hisstory: Mizura Sarutobi was born into the Noble clan of Sarutobi and was quickly recognized as strong and prodogy ninja in her academy days until Shinko uzumaki entered the acdeamy. in her academy days she was most noted for her amazing amount of Chakara Control being able to preform Kage level Ninjustu with barly using up any of her reserves. She was also told that she was a sensory type ninja and has a affinity for Water Ninjustsu. With that she was also born with the lava Release. She has learned how to use Fire release and earth release with the help of her Father and Sensei. at the age of 6 she graduated from the Acdeamy with the world being in a state of peace she remained a Genin until the age of 13 to witch her team passed with flying colors. one year after her Chūnin. exams she goes to train with her Sensei and Father to mastery over her current ninjustu and even further enhance her chakara Control and to understand the mastery of Ninjustsu. Missions completed: 25 D-rank, 60 C-rank, 70 B-rank, 10 A-rank, 12 S-rank. Personality: Rei Uchiha is slightly forward not sugar coating his feelings or opinions of people. He's also a bit of a scrapper as he runs his mouth a lot this often leads to him getting into fights. this goes for his team mates and friends as well if you insult them while he's around then it's no worse then calling him a name. He is very hot tempred witch leads to him trying to take the lead in a mission when he shouldn't. He's also very flirty though he strikes out due to his brashness. Your History: Rei was born in Konaha with his father being a Uchiha Survivor and a member of the new generation. he was sent to live with his God father Mokubou as his father has other obligations to attend to and is rarely in the village. As such for a good chunk of his Life Rei is oftein confused and wonders about his Orgins. As his dad and sasuke are never around. he entered the academy at a young age and quickly picked up on the ninjutsu and sensing. as such he joined team 14 witch consisted of his crush and best friend. they went on many adventures together and . Are all currently training. Origin: Second born child of Konohamaru and Moegi. Favorite foods: Any and all kinds. Least favorite foods: What are those? Hobby: Training, Eating, and Drawing. Personality Traits: Confident, determined, optimistic, strong-willed, passionate, active, go-getter, creative, unpredictable, stubborn, workaholic, bluntly honest, naive. BFFs: Wha do those letters mean? Teammates: Doesn't have any yet! Rival: Everyone is a rival! Outfit: A big t shirt, similar to part 1 Sasuke's, only crimson red. He also wears black pants that stop at his ankles, black Ninja Sandals, and black fingerless gloves. Kekkai Genkai:Nothin' but hard work! Dream: To surpass his parents and become Hokage! Sakura: "He acts too much like Naruto for his own good. He's still a good kid, i suppose. Sai: "He's not a bad artist. However, he acts too much like Naruto." Kakashi: "The kid's a Pyromaniac, and a surprisingly good one at that." Yamato: "I haven't had the chance to examine him too much, but from what i've gathered, he's just as reckless as Naruto was. Tenten: "That kid gives me real migraines sometimes when he comes in my shop and starts messing with all my merchan-Hey, Asuma! Get out of that case, those are expensive Swords dammit!" Lee: "He is most Youthful! I admire his flames of determination!" Guy: "HE IS MOST DEFINITELY FULL OF YOUTH!!!!" Kiba & Akamaru: "He pretty cool, reminds me of me in my younger days. Guy's a literal hotshot, y'know? Heh." Hinata: "He's a good hearted kid. Reminds me of Naruto back in the old days." Shino: "All his fire throwing disturbs my insects." Kurenai: "He and my daughter get along very well." Choji: "He eats almost as much as i can!" Shikamaru: "He's way too loud. I can't get any sleep as it is with Temari always here." Ino: "Asuma? Uhhh....fine, i guess. I don't really see him much, being couped up in this flower shop all the time? Tsunade: "He's a big head ache. But a lovable head ahce." Temari: "I've had to kncck him around with my fan a few times...hard headed idiot." Kankuro: "I've only met him once, but the guy's more like Naruto that he should be." Gaara: "I haven't had the pleasure. But from what i hear, he acts like Naruto." Orochimaru: "Never heard of him." Naruto: She's Ok... But she is Way too into Neji and Tenten! Sakura: She is A Very helpful friend even though She has a "Thing" For Neji and Tenten. Tenten: When it comes to me,she I said SO CRAZY! Rock Lee: She hates me,I hate her! Nothing Else. This is So Not YOUTH!!!!! Naruto: she is a very, very good friend! But, like Hinata, she always blushes around me. Hinata: She is ok, but like me, she has a crush on Naruto! And I'm jealous of her because she is close to him! Very! Sakura: i love how she and Naruto get along very well! poor Hinata! Tenten: she helps me with my weapons when I need it! Temari: a very interesting Uchiha. I do admire her. Gaara: she is always comforting me! Suigetsu: Tell Her when I see her again, I'll break her neck very good! Konan: I care for my sister, but I'm jealous that she like she Yahiko.. ugh! Hidan: I'll wring her neck when I fight her! Kisame: I don't like her,that's all. Tobi: Why is she rude to me? she's unknown to most ninjas. Dream:She had no more dream. Motto:Start living before you start dying. Konan:I'm glad I get to be with her. Deidara:I wonder why she was born here?